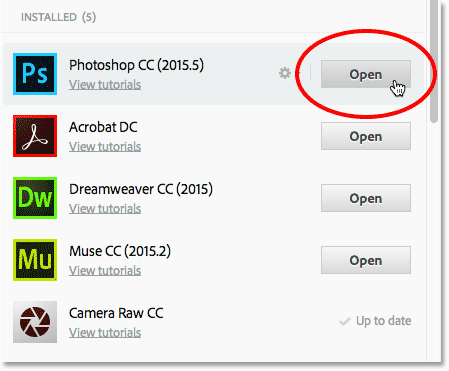 Learn how to keep your copy of Photoshop CC up to date using the Creative Cloud desktop app. 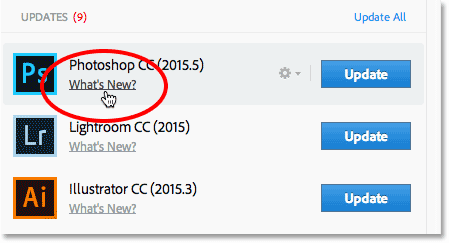 By keeping your copy updated, you'll always have the latest version of Photoshop along with every new feature! As an Adobe Creative Cloud subscriber, you always have access to the latest and greatest version of Photoshop. 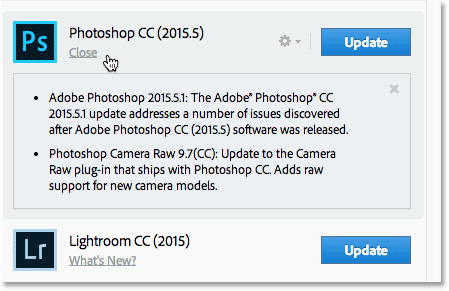 Adobe releases major updates to Photoshop CC every six months or so. Minor updates and bug fixes are released in between. 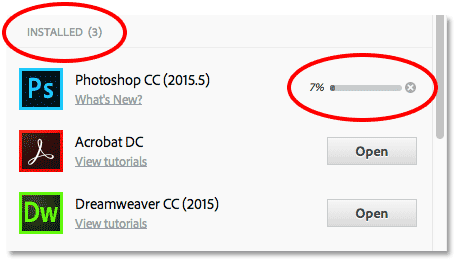 In this quick tutorial, we'll learn how to easily update Photoshop CC using the Adobe Creative Cloud desktop app. This is lesson 1 of 8 in Chapter 1 - Getting Started with Photoshop. 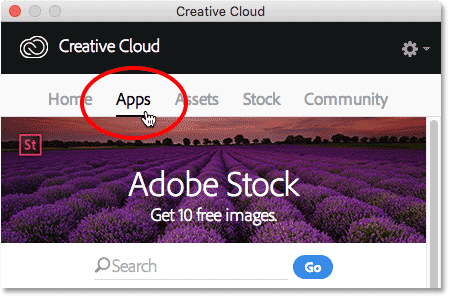 In Windows, the Creative Cloud app icon is found in the system tray. In Mac OS X, the icon is located in the Menu Bar at the top. 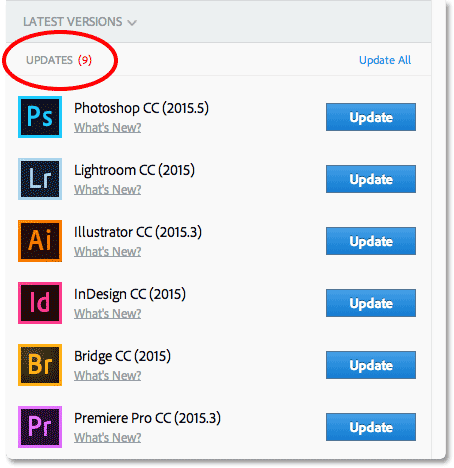 In Photoshop, go to Help > Updates. Any apps with updates available appear in the UPDATES section at the top of the list. Clicking the "What's New?" link for Photoshop CC. Viewing a description of the update for Photoshop CC. 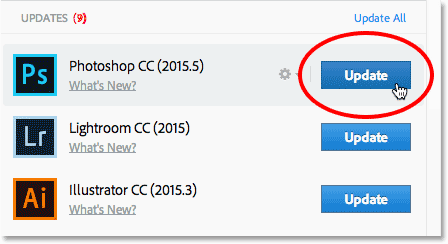 Clicking the Update button for Photoshop CC. And there we have it! In the next lesson in this chapter, we'll learn how to install Adobe Bridge CC, the powerful file browser that's included with every Creative Cloud subscription!